Here are some sales tips to help you sell better in 2019. As a salesperson, you need to continuously improve your sales skills, habits and practices. In this fast-paced digital influenced sales world, there is always something new to learn. Our sales tips and articles at The Bitter Business have been created to salespeople with cutting-edge insights, habits, and techniques to increase sales impact. Using the six-step sales tips below, we are confident you can have more sales success, open more sales conversations, qualify prospects and close more deals in an effective manner. Focus on Trustworthiness. Build trust with your customers and prospects by using credibility, integrity, and reliability in your sales calls. Set Your OWN Sales Targets for This Year. Sit down and create real reasons and a list of motivations to really push you to achieve your own personal goals. P.S. Make them higher than any company goals. Become Skilled on How to Qualify a Lead. Knowing what a clients needs are PLUS understanding if a real sales opportunity exists will help you to connect a potential lead with your product or service. It also avoids wasting their or your own value sales time. You Want the Sale, But You Never Panic. Panic makes a salesperson to lose control of the sales process and focus on pricing. Work hard in your research, planning, preparation and onto building a bigger sales pipeline so you avoid ever being panicked for a sale. Learn the Talk V Listen Ratio on Sales Calls. Research has shown that high performing sales people listen 60% and talk 40% of the time on a sales call, especially in the earlier sales stages. Prepare great discovery questions to open up the customer to talking about their business needs. This will help you identify more sales opportunities, build better relationships with your prospects, demonstrates you care about their business and increases your chance of winning a sale. Pitch Your Value Proposition, NOT the Product or Price. Always provide solutions you know that fits your customers business needs and the VALUE it will deliver to them. Be confident in the value you will create and the fact that the price is FAR lower than your value proposition to the customer. We hope you enjoyed this sales tips and please visit back for some more articles on sales training. Here is a list of sales mistakes that sales people need to avoid. False assumptions can impact sales performance. Making mistakes during sales conversations can cost sales people deals. Creating a sales skills definition is unique to every business as they need to reflect the overall sales strategy alongside the expected sales activities of the salespeople. Sales skills differ depending on inside V outside customer facing sales plus which part of the sales process a salesperson is involved with. Technology, social media, the internet and the digitally connected buyer has in effect driven the change in how we apply sales skills definition to a sales role. This will be personal to each business. However, an overarching sales skills definition is the specific set of sales skills (prospecting, cold calling, nurturing, engaging, presenting, negotiating, closing etc) and knowledge (product, markets, trends, business etc) a salesperson possess to enact the exchange of value between a buyer and the vendor. Sales skills will always reflect the prevailing environment and the buyer’s acceptance of how they interact with the purchasing process. Let me explain further, once upon a time door to door sales was a dominant channel in both B2B and B2C. So, the prevailing environment was to enact sales via “the travelling salesman”. If you were to ask John Henry Patterson (probably the father of sales) back in early parts of the 20th century for a sales skills definition he may have stated skills that reflected a door to salesperson. Firm handshake, storyteller, manipulator, friendly, can convince, pushy, ability to take rejection and a persuader could be some of the skills he would mention. My point here is that sales skills reflect the company’s sales strategy and business model. So, when it comes to creating a sales skills definition consideration must be given to how the business operates, potential customers preference for buying, ethos, channels and product complexity. The hiring profile and training of sales people should reflect the skills definition as laid out in a sales playbook or strategy. Let’s compare the sales skills of a door to door salesperson with a modern sales professional when it comes to sales prospecting. For the door to door salesperson it would start with the knock on the door (not too aggressive), their opening lines, the handshake, the smile, their body language, how they were dressed, the opening pitch etc. For the modern sales professional doing sales prospecting what are the skills you would expect? Some of the traditional skills still hold true, however skills such as ability to research, use of data, multi-channel activity, nurturing relationships and value exchange have replaced many of the interruption sales skills employed by the door to door salesman. This is being driven by social media, data, connectivity, educated buyers and technology that requires a transformation to how many companies sell. These changes will require sales skills that go way beyond the traditional selling tactics. Skills that make buying easier. Research shows that the educated, savvy and connected buyers want the whole buying process to be easier more rewarding, informative and fulfilling. Business needs to consider what sales skills salespeople are being trained on that reflects this new reality. Buyers want to engage for longer term value that goes beyond the product. They want to do business with sellers who really understand the “what, why, and when” of their needs. Selling will become more collaborative and intelligent. To bring this extra value to buyers, companies need to invest in sales training for salespeople so they can educate and nurture customers on needs they do not know they have. Yes, social media, social selling, inbound marketing and digital connectivity is making it easier to engage with customers more cost effectively. But do sales skills and sales techniques reflect the current environment is a good starting question. Salespeople need to have empathy and ability to really understand a customer’s needs. The skill to engage comfortable with a customer at their level and on their terms. Ability to add value to the customer at every stage of the process, leaving aside self-interest. Skilled at active listening along with asking discovery questions to uncover business challenges. The salesperson can create a vision for the value that their product will bring to the customer. Can build rapport, tell stories and sell their personality, because even in this digital world, people still buy people. Business acumen, the salesperson has a genuine interest in how business works. They are trained to know that sales negotiation is a process not an event, so they constantly use the 3Ps of selling – Prepare, Probe, and Propose. Is credible and understands how to build credibility and add value to a customer’s life. Has the sales skill to pinpoint, quantify and communicate clearly the value their proposed solution will bring to the customers business. As stated in the outset of this article, a sales skills definition for the sales roles and salespeople will be personal and unique to every business. Just as sales has evolved from door to door in the analogue era to the digital salesperson of today, so too will the sales skills as our environments change with the times. Insight into some powerful sales techniques to help prepare when it comes to engaging a customer or prospect. Whether you are a seasoned sales professional or new into sales, you need to have a set of sales techniques you can draw upon to hit those sales targets. The list of techniques to follow should help increase the approach and interactions to improve sales performance. Sales Techniques begins with Planning and Preparation. Sales is a process, not an event, meaning that planning and preparation are sales techniques. This technique is about learning to gather information and insights about a contact plus their company. Being competent to have an in-depth discussion about a customer’s industry, markets, news and trends is often one of the sales techniques salespeople struggles with. Coming armed with insights will not only help build credibility with the customer but also show that you have a genuine interest in their business. Start by using social media to gather some insights, use Google news or companies blog for announcements, research their industry for trends and forecasts. The more information, the better as it can help build a picture of the customers challenges etc. Now plan out the steps, questions and discussions for the call, meeting or presentation. Using the insights, you have gathered, create a personalized value proposition for this customer and what is it in for them to listen to you. Don’t forget to also plan out the opening statement and 3 or 4 discovery questions so you can get their awareness and attention based on your knowledge. Learn to challenge the customers status quo because in sales the biggest competitor in securing a deal is not the competition but the buyers status quo position. Status quo comfort or the natural inclination for people to avoid change is one of the biggest obstacles in sales. On a scale of 1 to 10 for sales techniques difficulty, this one is an 8 or 9. The sales skill here is to understand the customers status quo then uncover everything that makes up their status quo to determine how, if, why and when any change would be required or more importantly accepted internally. To master the sales technique of challenging the status quo, we need to change our mindset to “Servant Sellers”. Servant sellers are willing to work with the buyer as a change agent. This involves undertaking all the grunt work, the running around, the gathering of information from multiple parties and other members of the buying committee who will also not have shifted their status quo position. The sales techniques include magnifying the pain points, making the challenges, obstacles or opportunities as real as possible plus positioning the true cost of doing nothing as unbearable. The result we all look for is that our proposed solution gets moved up on the customer’s priority to-do list. Be a MOP – Master of Performance. All the worlds a stage, and salespeople are the players who make buying easier. You see, every single interaction with a customer is an opportunity to perform, to build credibility, to influence, to be seen as useful, and to gain their trust. Everything from our tone of voice, from the way we dress, to what is said and just as important – how it is said, is all part of the sales performance. The quality and relevancy of the information we impart is what determines how we progress. People buy from experts and advisors, so confidence is vital. Similar to an actor, learn to tell stories, talk at a measured pace to allow the words flow naturally. Use facts or data with a raised pitch within the story to display confidence. Have the business acumen to know the customer is asking themselves “Why should I listen” and “How are you different from my current supplier”. So be prepared to answer this as part of your sales performance. Sales 3.0 is about Collaboration. Use collaboration to uncover sales opportunities, remember the switch rate ratio is 54% listening to 46% talking. Practice and measure the switch rate that you and the customer take turns listening and then talking. This sales technique allows for the flow of information to be two-way. Some sales training will help you master the sales skill of “active listening”, this opens the door to insights, allowing us to work together to help find the solution that best meets the customer’s needs. To help the switch rate runs smoothly, have a list of discovery type questions to ascertain if any real sales opportunity does in fact exist. “Where are you experiencing the biggest challenges? Real sales collaboration shouldn’t be rushed, receiving insightful and honest answers will give a good indication of whether there is a sales opportunity or not. If the switch rate is highly interactive, the questions and answers should reveal the customers main pain points. This allows for a progression in the sales process, however if no opportunity exists or can’t be crystalized then it is time to move on. It’s about Buying Ease not Buying Please. The sales mindset here is Let me work for you and show you what you need to complete this purchase.” The customer does need more, they already live in a world of more- more information, more data, more options, and more people involved in a buying decision. We need to focus on buying ease, to bring clarity in the sales process. To collaborate and help customers simplify the buying process, to make it easier to buy. Research shows customers who experience a high level of “buying ease,” opt to do with that supplier, in fact they are 62% more likely to win the deal. Buying ease includes making the customer feel comfortable about moving out of their status quo, that new possibilities are only positive, that the cost of change is manageable, to show them how to sell the solution internally and then make buying easier by being a servant seller. Sales techniques are a never ending and constantly changing story. They reflect the environment we sell into and our customers evolving preferences for how they buy. Cold calling as a sales tactic still has its part to play in the sales process, but only if it is planned and executed properly. These cold calling tips will help your sales prospecting efforts so you can engage more people, more often. If there is one aspect in selling that can cause sales reluctance, then it has to be cold calling. But it is part and parcel of reaching out to connect, engage and acquire new customers. 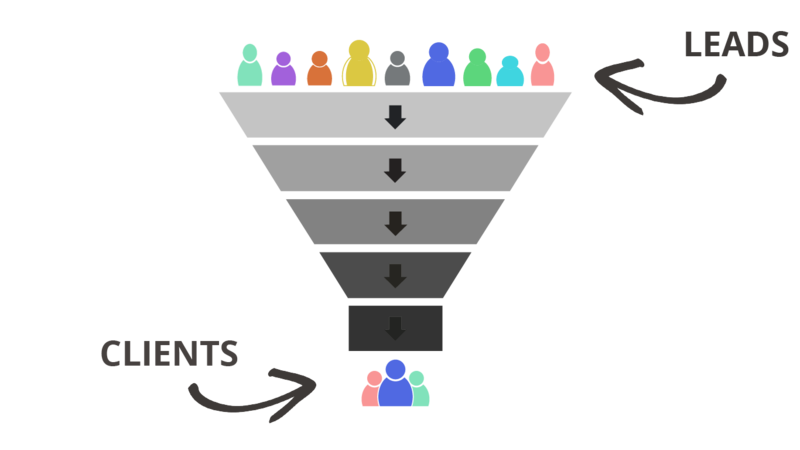 Off course we all would prefer qualified inbound leads to sell to, however the reality is for a business to grow it needs a multi-effort approach to finding new customers. Create an Ideal Customer Profile to understand what your prospects likely challenges and pain points. Also, you need to see the bigger picture in their industry and what trends could be shaping their buying decisions as it relates to what you are selling. Today, cold calling really only works if it is part of a wider prospect engagement strategy, a dial and smile approach just will not work. Researching your prospect list against a profile is vital if you are to see success. Do not value your sales pitch above the investment you will need to make in the prospect at the end of phone. Understanding your prospects, their industry, news, market trends and your own product fit is a necessary activity before you begin cold calling. The better you do this, the higher the likelihood that the prospect will be more responsive to call. Ask yourself, what key pieces of information or insights will you share with them, to get them to listen to you? The amount of preparation and planning for your cold calling activity will probably determine your level of success. Can you detail out the sales assets you will use? What other touch points or interactions with the prospect have you had prior to the call? What is your value proposition to this list of prospects? In the critical opening minutes, you need to be able to communicate your value proposition to the prospect clearly and confidently. Very few 100% cold calls result in any form of success. In your preparation you should plan out which other sales touch points (emails, social selling, LinkedIn etc) you will use as to increase your chances of having a real-time conversation. Remember that cold calling is more than just rattling off some prepared sales script. The purpose of any cold call has to be focused on getting the prospect to listen by sharing some useful information and then move on to a discussion about their challenges. One goal could be to identify a person’s role in the purchasing decision for the product you selling. Take the time to be clear about your goals and what outcomes you desire before you make those calls. Cold Calling Tip: Connect and engage with users, gatekeepers and influencers at every company you target. It is rare today for 1 single person to make a purchasing decision. Put the prospects interests before your own. If any salesperson approaches prospects with a blatantly obvious sales pitch, then they should expect a blatantly obvious response. The key to unlocking cold calling success begins and ends with the prospects best interests at heart. Adapt the mindset of a trusted adviser who will be a useful and valuable resource to the prospect, one who shares quality insights, is credible and knowledgeable. The priority is not about the product or service you sell but rather on the prospects needs, because if your mindset is on prioritising a prospect needs, you are now there to bring improvement to their roles and problems. If you believe in what you sell and your personal value proposition to the prospect is genuine, then nothing will stop you. Your value proposition must be on target. Does your value proposition bring clarity from the noise that surrounds your prospects working day? Are you clear on the value of your solution and how it will appeal to the prospects situation? What pain points or challenges are you addressing – will it save money, save time, improve productivity, reduce risk, speed up progress. Is your value proposition compelling enough for them to stay on the phone to learn more? Do you have statistics, case studies and industry knowledge to back your value proposition so you are seen as an expert or adviser? The reason you are calling them is that your research, planning and preparation have indicated that you have something to share which is worth their while listening. You are not there to waste their time or share useless information. Successful cold calling is based on that you know why you are calling and why they should listen. Cold Calling Tip: Include social media listening for trigger events as part of your research and preparation. The activity of selling in itself does not cause someone to buy. Many buying decisions are as a result of a trigger event which requires a challenge or pain point to be resolved. You can tap into these signals also known as trigger events by engaging in social media listening. As part of your daily sales habits, you should try to look for signals or triggers on Twitter, LinkedIn, Facebook, Google Alerts or News sites to keep tabs on recent happenings relating to your prospect list. New senior hires. A new member of a company’s leadership team will invariable want to prove their value and make changes, so they are more open to new solutions. I’m not suggesting you go after this person but rather focus on your target prospect who could be a hero to the new boss by introducing new vendors. Winning a large deal or customer wins. Could this open the door to an opportunity for your offerings. At the very least, reach out to the prospect to congratulate and see what impact this will have on their roles or business. Company expansion. New hires, moving office, opening a new location or a geographical change is a trigger event that qualifies as an introduction opportunity. Regulation or Industry Shift. Use social listening to keep abreast of any pending regulation changes or any industry trends that could shift a prospect from his or her status quo position. Educate yourself on these shifts to present yourself as an expert and trusted source of information. Company Acquisitions or Mergers. If you already supply into a similar company or have a relationship with either party, this trigger event can be a great opportunity to get engage a prospect. Your credibility comes to the fore when a prospect asks themselves “why should I listen to this person?” Did your value proposition deliver for you? One of the main ways to achieve credibility in the eyes of a prospect is to use some social proof in your value proposition. The use of social proof has become important in any sales prospecting activity from social selling to exploratory emails because it shows your prospects how your product has helped other people with similar pain points. It has to be genuine, so share a success story or case study of a company you helped who had challenges similar to the ones you believe your prospect may have. So, Yes. Cold Calling can work!! However, there is an investment required in order to make cold calling and sales prospecting successful. It starts with making it part of your daily sales habit loop and like every positive habit, you must want to do it and also have reason to do it. The success of cold calling will emerge from the investment you make in researching, planning, preparing and then your willingness to call and call again is what differentiates success from failure. There is a whole range of selling skills that every salesperson needs to be successful in the modern sales 3.0 era. Thanks to the digital influenced world we live in, how salespeople sell has changed. The role of a salesperson is constantly evolving and a more consultative selling skill set is now required in most sales roles. However, regardless of any sales methodology, one fact remains true: Successful salespeople will always be looking at ways to enhance their selling skills to achieve higher levels of performance. Whether it is getting better at social networking (social selling), developing their personal brand, improving how to do sales prospecting or account management, the reality is salespeople need support from sales management plus access to continuous sales coaching. Both at the company and individual salesperson level, everyone has to invest more time learning and understanding the art and science of selling in today’s fast paced buying environment. Let’s deep a little deeper as these selling skills. Confidence and a can-do attitude. Average salespeople do what is required, great salespeople do whatever it takes. A career in sales can be a bumpy road, salespeople suffer all manner of rejections by prospective customers along the way, and they need to be resilient, confident plus maintain a positive can-do attitude from the get go. A winning mindset in sales “is not a question of do you know it, but rather of one ‘Do you want to do it?”. Because “If you want to do it, you will acquire the necessary knowledge and skills.” In a sales career, a salespersons most valuable asset is not their value proposition, nor their sales scripts, nor their contact lists. Their most valuable asset is their mindset. A confidence mindset allows salespeople to transfer belief in themselves and what they are selling to the customer. Research has shown that successful selling is 54% listening and 46% talking. Whether prospecting or business development, active listening to really understand a customer’s needs (they may not even be aware of a need you have flagged as a result of listening to them) is a critical sales skill. Active listening isn’t passive as it involves asking clarifying questions. Salespeople need to understand it is more than just hearing what is being said. It means being constantly attentive to what the customer is saying and truly understand the sentiment or position of the other person. We know that sales conversations are the key to successful selling in the complex, consultative, or solution type sale. So, effective sales conversations are the result of the salesperson taking responsibility for both their speaking and their audience’s listening. Another critical sales skill to the ability to establish rapport and relatedness that opens trust with the buyer. So, selling their personality (and personal brand) is incredibly valuable. Being genuinely interested, authentic and engaging is the major plank in gaining buyers trust. Let’s take one step back, because great rapport building can be linked to the research a salesperson does prior to engaging a customer. Sharing insights and asking unique questions related directly to the customers business lets them know that the salesperson is not there just to run through the typical sales conversation. Even in this digital world, people buy people. It’s about convincing the customer to listen in the first instance and then work towards gaining their trust that the salesperson is the best person to sell the product to them. A salesperson needs to sell their talents (product or market knowledge, problem solver etc) but, even more importantly, they have to sell their personality. Top salespeople possess a genuine interest in how business works. They have business acumen, an entrepreneurial drive and ability to self-evaluate their own performance. They can use this to engage customers and then create opportunities where they may not seem to exist. Successful salespeople also display a characteristic of business curiosity. They research and plan out the right questions to ask plus they seek out the right people to ask those questions to, along with finding the answers. The forward thing sales professional will always see a sale through from execution to delivery as they value customers opinions and referral potential. Sales habit loop for sales consistency. Salespeople have to acquire the skill via sales training that sales negotiation is a process not an event. This means having a well-planned out sales habit loop that consistently addresses all parts of the sales process. They pay attention to the 3Ps of selling – Prepare, Probe, and Propose. So, there you have some of the selling skills that every salesperson needs. These critical sales skills that can make a difference in how salespeople sell – listening, rapport building, empathy, storytelling, and thinking on their feet, are things that most people in sales can probably do, yet ask ourselves – How much opportunity do they get to practice them? Sales leaders need to create a time and place to allow salespeople practice the more human side of selling to be successful in the sales 3.0 world. Sales prospecting is not an easy sales activity. It is a sales technique that requires training and constant attention to the latest developments in prospect engagement or lead generation tactics. Sales prospecting is a critical aspect of the sales process as the biggest challenge in sales is getting an opportunity started in the first place. 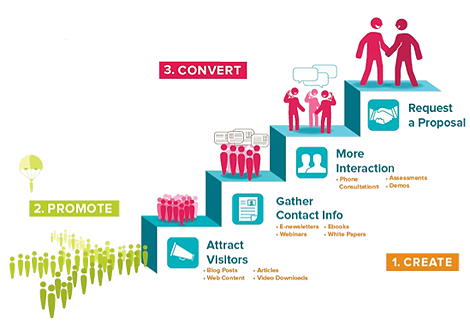 Nearly all buyers go through a number of stages on their buyer’s journey. Along the way they will make decisions on the importance level of solving the pain point, they will evaluate the available solutions plus assess vendors who they feel can suitable. In the early to middles stages of the buyer’s journey, sales prospecting is about bringing clarity and communicating a value proposition to the prospect. A potential customer will also need to be convinced of how familiar they believe a salesperson is with their business needs. The outcome of a prospects decision or considerations can be linked back to how well a salesperson has built trust and confidence through the various sales prospecting interactions. Successful sales prospecting ensures that all interactions and sales communication are geared towards creating specific outcomes, not for the salesperson but for the potential customer. A focus that outlines how the company can make the prospects life easier, their jobs more rewarding and outcomes that simplifies their buyers journey. Selecting target prospects to engage. 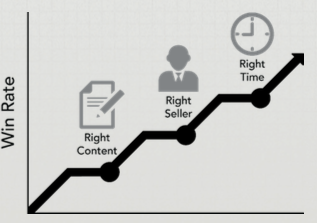 Use ideal customer profiles to map the buyers journey. Before a salesperson reaches out via social selling, cold email or phone call they need to be able to answer “why are they on the list of prospects”. What information, signals or insights would make them a potential customer? Sales prospecting where salespeople have to find or create opportunities is not easy. It involves quite a bit of effort to establish credibility and to get the prospect to listen to what the salesperson has to offer. 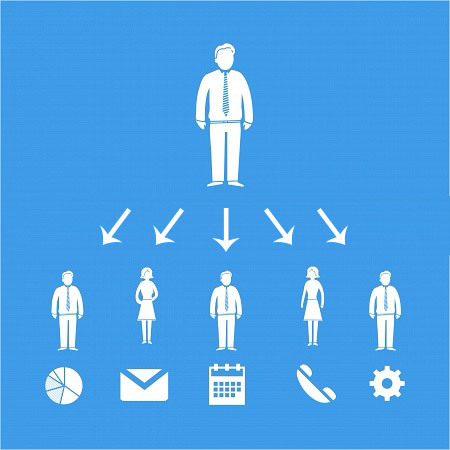 Sales prospecting has to be a planned, organized activity as random prospecting is mainly a waste of time. Core to every good salesperson sales prospecting activities, is the importance of understanding the company’s needs, as well as the prospects desired outcome they will get by using the proposed product or solution. Using LinkedIn, Google search, Forums and Business directories are the most effective and efficient way to find quality prospects that match a company’s ideal customer profiles. Create a Strong Value Proposition. Sales Prospecting Tips from The Digital Sales Institute on Vimeo. Never forget that a prospect only cares about their problems, their challenges and their pain points. They are not looking for a nine-inch drill, they are looking for a nine-inch hole. They want to listen to salespeople who make sense, who create value, who are credible and who will make their lives easier, this includes helping them through the stages on the buyer’s journey. Prospects don’t want to listen to product pitches. A prospect wants to hear solutions to their pains and problems, evidence that others have experienced this and got a resolution. They don’t need more vanilla flavoured sales messages. They want a value proposition that will make it worthwhile their time listening to a salesperson. They want insights, they want to see the end result (without the sales pitch) from the earliest step in the buying process. Social Media is a Key Activity in Sales Prospecting. Social media is playing an increasingly bigger part in purchasing decisions and B2B buyers are being influenced more and more by social media. 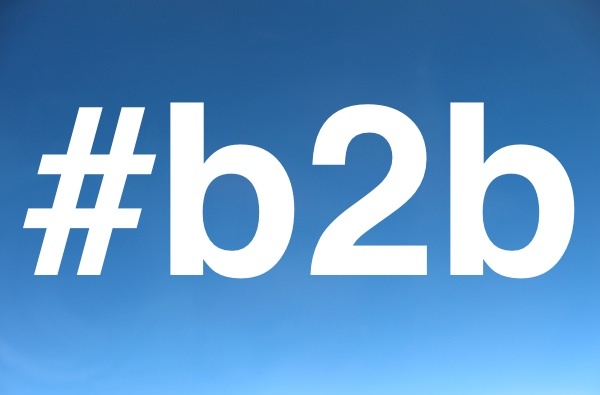 Within the next decade, the majority of B2B buyers will be digital native. Social media will be their go to channel to research, connect, reference and to educate. Social media not only gives salespeople access to buyer profiles, but rich data such as background history, connections, similarities, likes, interests and deep insights into the company. Social listening can throw up signals about the prospects needs, trends in their market or challenges within their industry. All this data can be used in prospecting research and in the creation of a value proposition for a specific market. Also, social selling along with the growth of inbound lead generation have surpassed the older, more traditional forms of sales prospecting. Whatever other sales prospecting tactics a salesperson uses, the use of social media and social selling has to be on their list. Learn to use Sales Tools and share Content. Potential customers value content that helps educate and fill in some blanks for them. As more and more selling will be conducted via the digital channels, sales teams need to up-skill on the use of sales tools and content (articles, whitepapers, research etc) to engage a prospect. Content that supports sales prospecting activity must be based on fulfilling the customers’ needs and requirements. The goal is that they build a trusted connection with the salesperson via their interactions. Buyers are drawn to thought leaders and surveys show they prefer interaction with salespeople whom they consider to be a trusted adviser. Many companies are now prioritising the education of their target audience through the creation of deep and insightful content assets that makes buying easier, and they are doing this with a customer first approach. Sales tools such as video, ROI calculators, AI, scenario planning, live webinars, messaging channels and virtual tours will continue to grow. Always take into account that at any time, just 3% of your target market are actively seeking to purchase with approx. another 6 to 7 percent in the consideration stage. This leaves a whopping 90% of an addressable market that is in “the status quo position”. The fact is that while a prospect may have pain points, no salesperson has made them critical enough that a buyer wants to prioritize a solution. Salespeople can get lucky with sales prospecting and find the 3 to 10% of the market seeking or considering to purchase now. However, to be truly successful a salesperson will need sales training to nurture more relationships. Nurturing and engaging a focused group of ideal customer profiles should be an essential part of every sales prospecting strategy. This takes time and skill but sales prospecting is now about getting in early, building credibility, cultivating a relationship and getting the prospects trust that when the time is right, they will move with the salesperson who has influenced them the most. Matching sales training to the buyer’s journey is essential when designing not just your sales training courses but also as part of your digital selling strategy. Developing a deep understanding of your customer profiles and their buying journey is critical in getting a sales force to engage a company’s target audience. When done correctly, matching sales training to the buyer’s journey will improve the effectiveness of your sales strategy and dramatically increase sales growth. We know that social media and the digital channels provide buyers with self-education which leads to greater autonomy when making buying decisions. Which poses the question, “If most of the information they would need to make an informed decision when considering a purchase is available online, what is the role of the modern salesperson? Sales leaders need to ask where does sales prospecting and customer acquisition tactics fit into engaging buyers in the digitally influenced sales process. Defining the buyers journey is not so much about “what is it” but “HOW is it” enacted. A simple definition could be – The process a buyer goes through to become aware of, consider, evaluate, and then decide on purchasing a product or service. 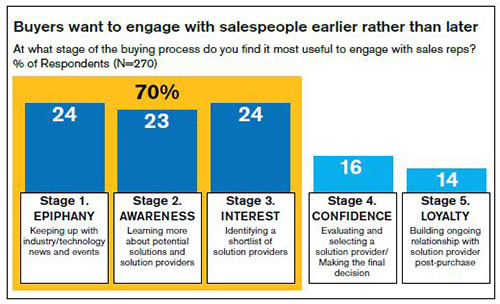 In the buyer’s journey, the biggest change is in the “awareness’ and “consideration” stages. In these stages, social media now plays a bigger part than the traditional sales engagement. Is this a failure by business to address this in sales training (by providing better sales prospecting tactics) or have we just ceded a vital part of customer acquisition to the internet? This will ensure a sales team that is skilled in using a multi-channel approach to nurturing a target set of customers throughout the buying process. This is now essential for any business to attract buyers towards purchasing your product or service. Salespeople need to have a clear understanding of what the customer expects at each stage of the buying process. It is the responsibility of sales leadership to provide the training, coaching and guidance to help them interact with potential customers with relevant content and messaging at every stage. There is no mystery in the digitally influenced buyers journey, the key to successfully engaging customers on their buyer’s journey is constant engagement. Digital sales transformation is being rolled out in sales training to teach salespeople how to skilfully engage with prospects throughout each stage of their journey. The goal is not just selling but to build trust and rapport between the business and the prospect. Research shows that the biggest differentiator in selling success may just be getting the prospect trust. So, if you can build credibility, usefulness and trust above your competitors in the chase to win business, it will give you the advantage when converting a prospect into a customer. The buyers journey can be condensed down to a three-step process: The Awareness Stage: The buyer realises they may have a problem. Consideration Stage: The buyer defines their problem and researches options to solve it and then the Decision Stage: The buyer chooses a solution. How would the buyer describe his or her challenges? Where and how does the buyer educate themselves on the challenges facing others or their industry? What would be the compelling reasons when the buyer comes to deciding whether or not this should be prioritised? Which categories of solutions do buyers investigate? Where do buyers educate themselves on the various options or solutions? How do buyers perceive the pros and cons of each solution? How do buyers decide which option is right for them? What criteria or other considerations will a buyer use to evaluate the available offerings? When the buyers comes to researching you (yes, they will) and your company’s offering, what do they like about what they see or read compared to the competition? What concerns will you need to cover off on your solution? Is there a buying committee or who else needs to be involved in the decision? For each person involved, how does their perspective on the decision differ? What is the buying process or will the buyer have expectations around sampling/trying your solution before they purchase it? What is the true cost of acquisition, so outside of buying your solution, do buyers need to make additional plans around implementation, IT or training? It is important to break down each step in your sales process and then match your sales training to the buyer’s journey. Each sales training session should focus on a step in the sales process including what sales assets, content and information to use. For a salesperson, learning the next step in the sales process should be a reward for mastering the previous one. The buyer to supplier relationship along with how buyers engage with salespeople is changing rapidly. Your sales strategy , sales process and sales training will have to become more dynamic, multi-channel and digitally driven, just like our customers.